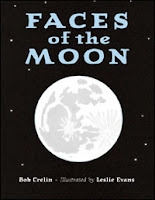 I like this idea, helping children to learn about the moon utilizing rhyming--good method to make the subject interesting and easy to remember. I can attest to the power of this learning technique. In 5th grade my teacher taught us to sing the prepositions in alpha order to the tune of Yankee Doodle. I have never forgotten them, lo these many years.